This pad Thai was semi-successful. I used dried tofu in place of the shrimp in the original recipe. That was a mistake. The tofu was so compacted that it did not absorb any of the sauce. Otherwise it was pretty good and I will try it again with firm or extra firm tofu. The recipe is from Food and Wine and you can get it here. Be sure to use a large enough pan to cook it in. Mine was a bit too small which made the mixing of components difficult. 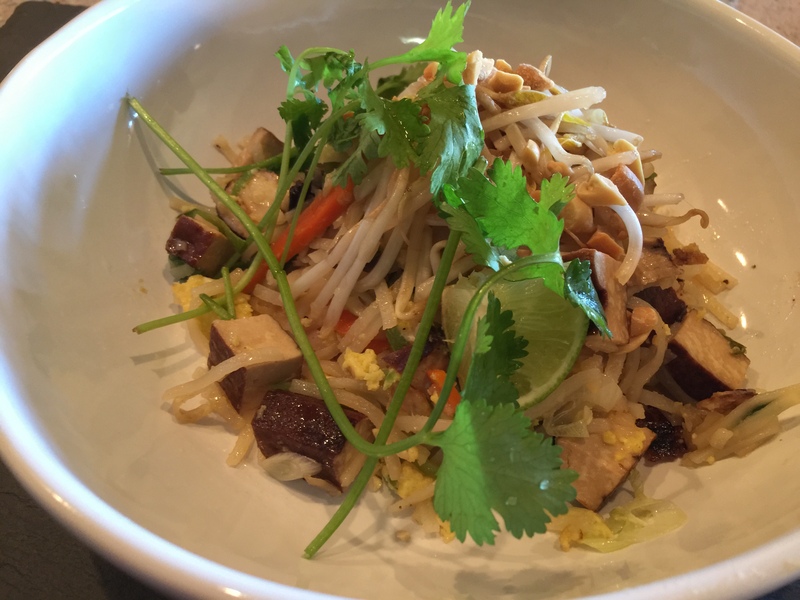 This entry was posted in Eggs, Kitchen tips, Vegetables, Vegetarian and tagged bean sprouts, cilantro, Pad Thai, peanuts, rice noodles, scallions, Thai, tofu. Bookmark the permalink.